Here the forklift has been fitted with a ZoneSafe control unit along with the driver using his transponder tag. Reader Units have been installed near each barrier to detect the forklift as it moves toward the gate. 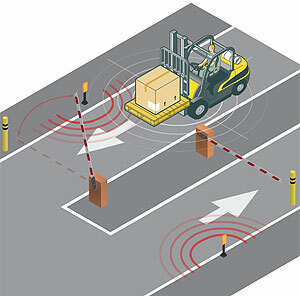 When the forklift enters the detection zone of the reader, the barrier is activated and the gate rises. The gate then lowers once the forklift is no longer in the detection zone. 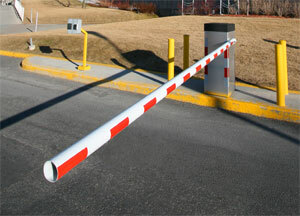 The Vehicle Access System can be set up as a stand alone system or networked throughout the warehouse.